Abraham Lincoln once said that the best way to predict your future is to create it. Being intentional regarding your financial future can be a challenge, but it can also be a craft. 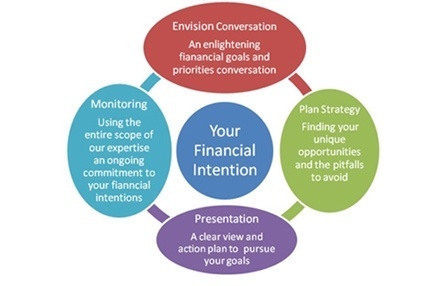 Do you live with Financial Intention? With financial intention, you define a future outcome and map your financial decisions into reality. It is the craft of committing to a greater, better result. Working with a team that includes a Certified Financial Planner with the added expertise of a CPA designation,Enrolled Agents, and Wealth Advisors can help you define and implement your financial intentions. There are many areas that require attention and careful planning, such as investment issues, business goals, tax liabilities, retirement timing, money stream, and estate planning. Having defined choices about these things will help you move smoothly through each stage of your life as you work towards your financial goals. Planning Process. This is a very personal conversation and often very enlightening. The result is a personalized deep knowledge about the sound financial planning strategy practices needed to reach your goals. You will learn why you make the choices you do regarding time, money, talents, and relationships. With this knowledge, we will guide you to define realistic goals that accurately reflect your financial priorities. Together we will set clear objectives, assess risk, and determine an estimated time of arrival for your specific financial goals. Strategy and Presentation of Plan. This is where we shine... it is our expertise! Using our 8 Wealth Management Issues model, we will build your personal strategy. Your plan will weigh opportunities and potential pitfalls. We put this knowledge to work to your plan's advantage with the best tax advantage possible. Monitoring. To best help you live with your defined financial intention and pursue your personal financial goals we will regularly review and monitor your plan and advise you on adjustments as they are needed. This step will largely depend on you keeping us up to date on any changes that impact your financial life. With the completion and monitoring of the Planning Process and 8 Wealth Management Issues processes, you now have clear insight on what you want to accomplish, a plan to follow, and our commitment to provide our multilevel scope of financial expertise. BONUS: When the time comes and you ask, “Can I retire yet and make it ok?” We will have the information to provide a confident answer. 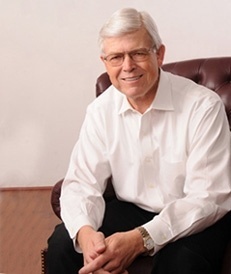 We help individuals, business owners and retirees live with the financial intention they desire. Call or email with tax, retirement, financial and insurance needs. Email us to request information or set an appointment.